Spiralizer, how did I live without you? My spiralizer has to be my favourite kitchen tool. 'Pasta' in 30 seconds which is low-carb, healthy, raw, vegan and you can practically eat however much you want of it! Now, getting back to the main recipe of this post! This recipe is a kind of two-in-one. 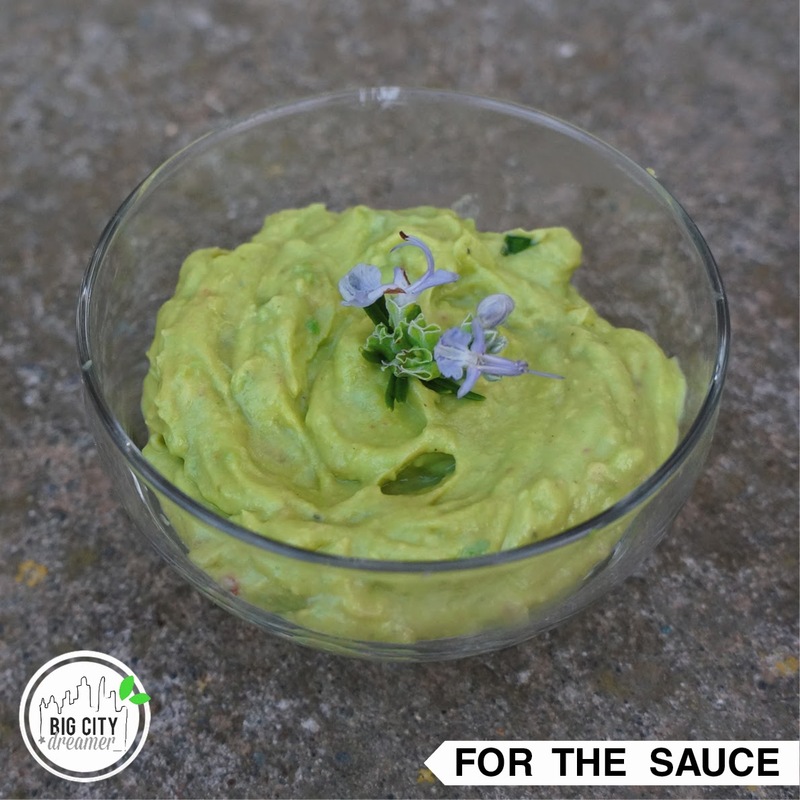 You can make the sauce which can also be used as a creamy spread or dip or you can carry on and make the whole dish...either way, the results are good! This dish is SO healthy as it uses a lot of substitutions but the flavours and textures are still all there! 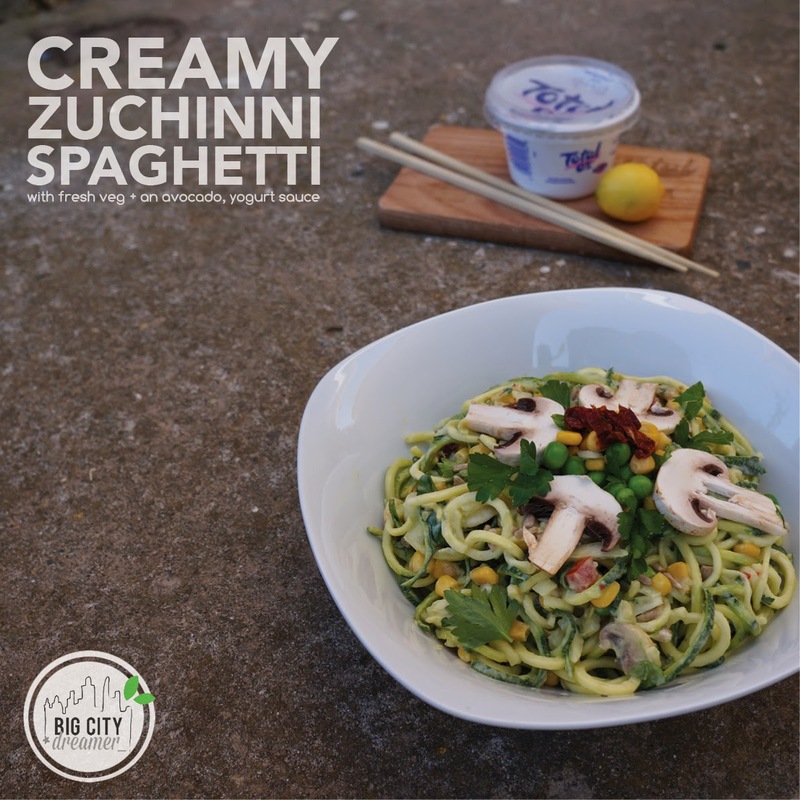 The regular spaghetti is subbed with zucchini/ courgette spaghetti (you can of course still use regular pasta or if you don't have a spiralizer used julienned or shaved veg) and the creamy guacamole sauce uses Total Greek Yoghurt in place of half of the avocado. Creamy pasta...no guilt! Mash the avocado with the onion and parsley in a pestle and mortar. Add in yoghurt, sweet chilli, lemon juice and zest and seasoning. Mash until smooth and creamy. 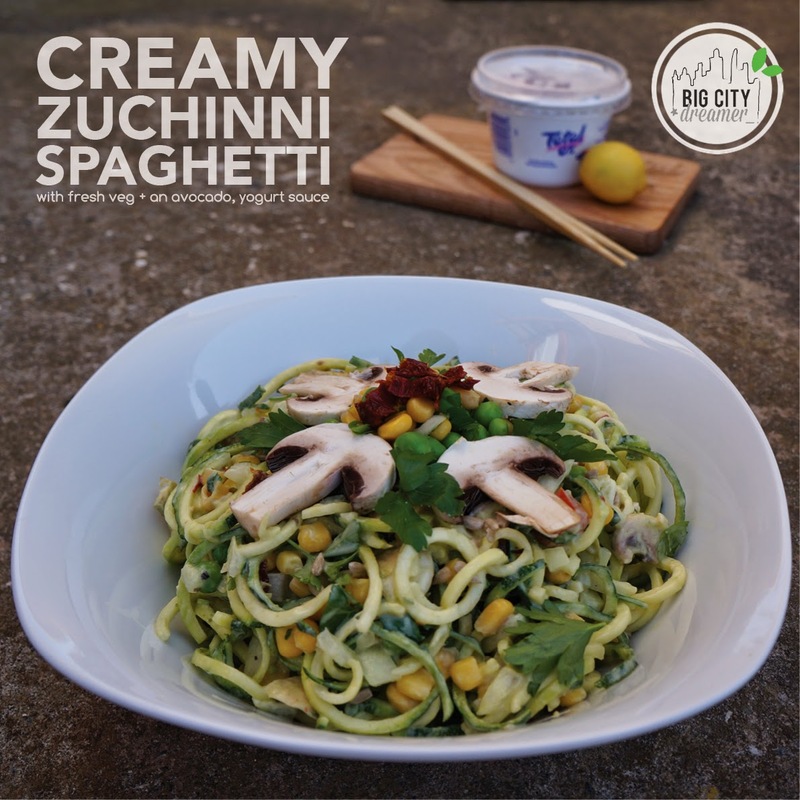 To make the 'spaghetti', spiralize the zucchini (feel free to use regular spaghetti or if you don't have a spiralizer, shave the zucchini with a vegetable peeler of julienne with a sharp knife). Mix in the prepared veg and finally stir in the sauce! Delicious!